Full rider instructions for 2017 will be published closer to the date and emailed to all entrants. The start and finish for both courses is in Tobermory on Sunday 4th June; the long course at 8am and the short at 9.00am. The ride will be fully supported by marshalls, feed and drink stops and a sag wagon bringing up the rear if it all proves too much. At the end you will be given a finisher’s meal at Hebridean Lodge, right beside the finish line. The route will be well signposted and marshalled (though to be honest, the number of junctions you’ll come to is pretty low! ), with well located and well stocked feed stations. As with previous years, one of our objectives is to raise money for some worthy causes. Most of our running costs will be covered by sponsorship and volunteer labour, so you can be sure that as much of your £30 entry fee as possible goes to this year’s charities. 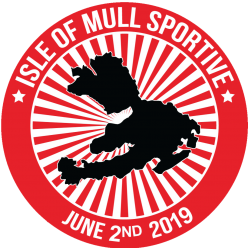 We intend to divide all surplus funds to a variety of Mull-based charities and volunteer organisations, many of whom (First aid cover by the Mull branch of the Red Cross for example) will be helping out on the day. We’ll pubish full details of how much money we raise after the event, but you can be sure that your money will go to a good cause!